The gooseberry (Ribes uva-crispa) is a species of Ribes. It is native to Europe, northwestern Africa, west, south and southeast Asia. Gooseberry bushes produce an edible fruit. The gooseberry (Ribes uva-crispa) is a species of Ribes. It is native to Europe, northwestern Africa, west, south, and southeast Asia. 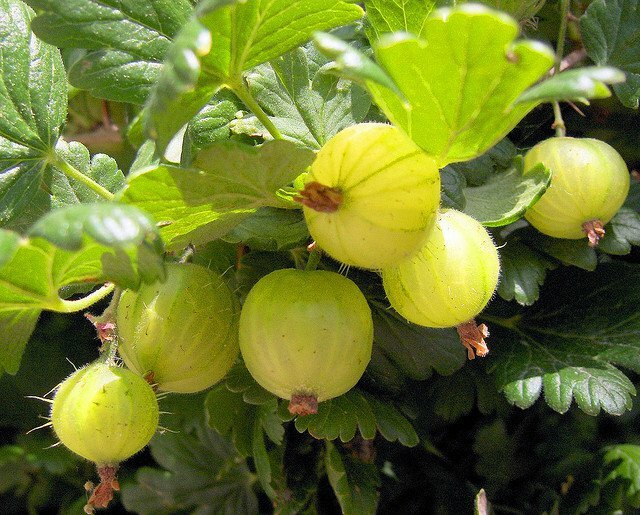 Gooseberry bushes produce edible fruit. This fruit can be eaten by itself or used as an ingredient in desserts, such as pies and crumbles. Early pickings are usually sour and more appropriate for culinary use. Here are 7 health benefits of gooseberries. 1. Gooseberries could help improve your digestive health. Gooseberries contain a pronounced amount of dietary fiber with 6 grams per cup. The daily recommended dietary fiber intake for men and women are 38 grams and 25 grams, respectively. Dietary can help prevent the risk of constipation, making one’s bowel movement easier to achieve. 2. Gooseberries may not spike your blood sugar levels. The sugar from gooseberries is slowly absorbed into the bloodstream, which prevents sugar crashes, sugar cravings, and mood swings. With the doctor’s consent, individuals who have type 2 diabetes may find gooseberries as a good food to try. 3. Gooseberries can help people fight infections. One cup of gooseberries contains 69 percent of the vitamin C daily requirements. Vitamin C is a powerful natural water-soluble antioxidant that helps the body develop resistance against infectious agents and eliminates cancer-causing free radicals in the body. 4. Gooseberries are great for the hair and skin. Adequate vitamin C intake does not only improve the immune system but can also create and maintain collagen, a noteworthy protein found in hair and skin. Also, gooseberries contain vitamin A. Vitamin A has been known to keep the hair moisturized through increased sebum production. 5. Gooseberries can help maintain a healthy blood pressure. Gooseberries are loaded with potassium and a low content of sodium. They are well known because of its high potassium content. One cup of gooseberries contains 297 milligrams of potassium, compared to 1.5milligrams of sodium. This helps the blood vessels relax and maintains proper blood pressure. 6. Gooseberries can help improve the heart’s health. 7. Gooseberries can help you sleep better at night. Gooseberries have been known to help an individual sleep with its high content of magnesium, which is a mineral that is directly linked to improving the quality, duration, and tranquility of sleep. Gooseberries also help regulate the metabolism, to help reduce sleep disorders and the occurrence of insomnia. Nielsen, F. (2015). Relation between magnesium deficiency and sleep disorders and associated phatological changes. Modulation of sleep by obesity, diabetes, age and diet, 291-296.